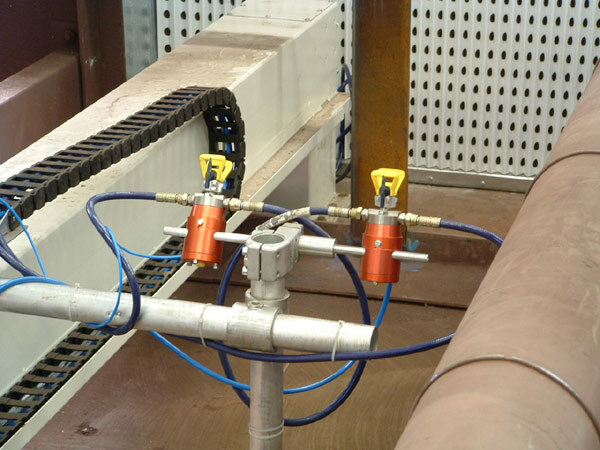 Electronically Controlled Reciprocators have been developed for automatic spray coating applications in ATEX areas. 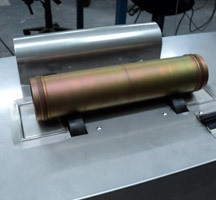 They have been designed to carry a maximum payload of 15 kg, which could comprise a wide variety of paint atomisers including: highspeed bells, airless guns, air atomised guns and powder guns. 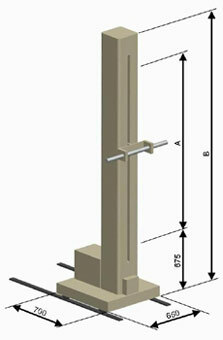 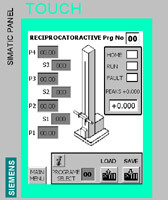 The reciprocators are available in both Vertical and Horizontal versions, coming in several standard lengths. 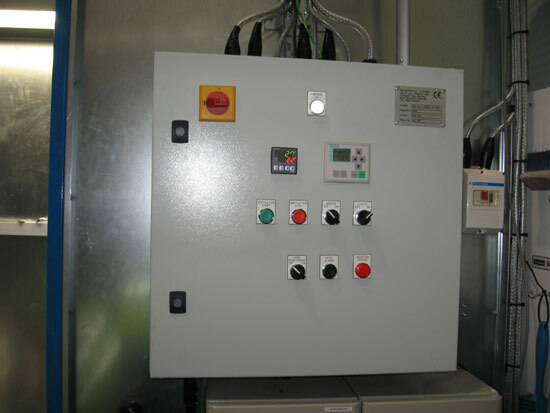 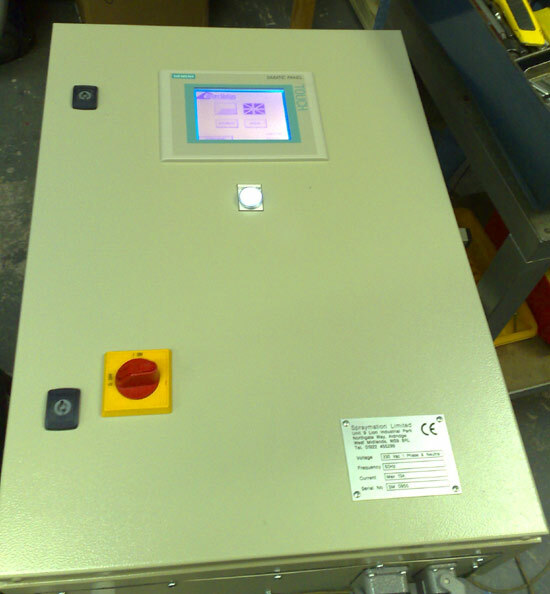 The machines are controlled by a PLC and are user programmable via a graphical HMI. 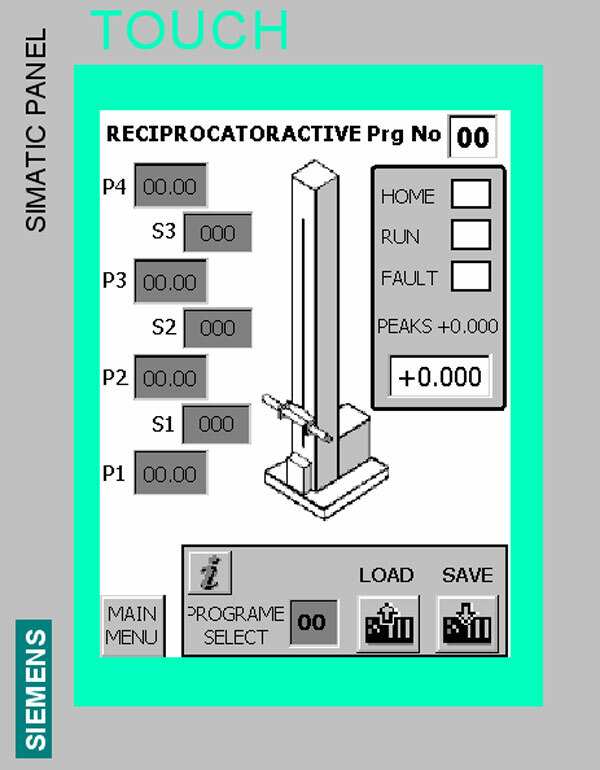 Programmable parameters include stroke length and position, stroke speed, three variable speed bands and variable gun trigger on/off signals. 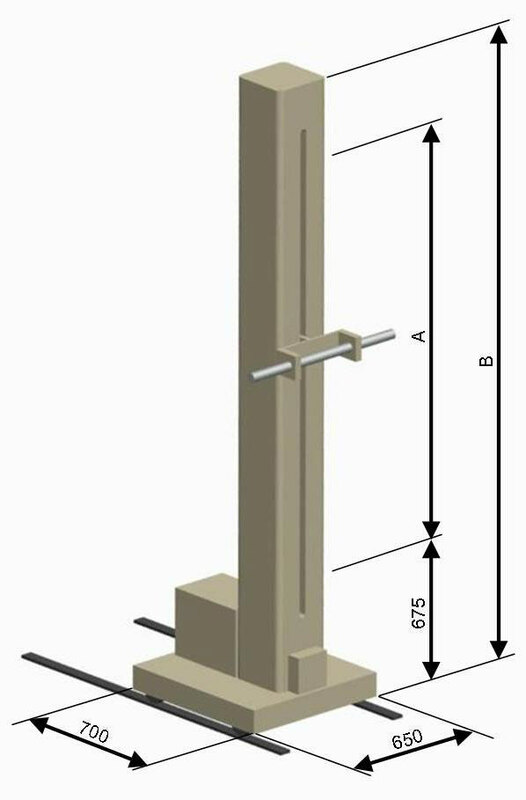 Vertical reciprocators are mounted on a wheeled base complete with floor guide rails to allow easy floor positioning in relation to the work. Optionally this can be powered for some automatic applications. 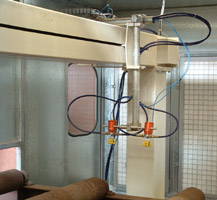 Horizontal reciprocators are supported on two fixed legs as standard, special supports to suit particular plant arrangements can be incorporated on request Special versions can also be supplied including: underside spray machines, drum interior coating machines, roof suspended machines, high speed disc machines, heavy-duty machines with payloads over 30 kg, etc. Hose/cable guide chain, special stroke lengths and additional movement axes can also be provided. 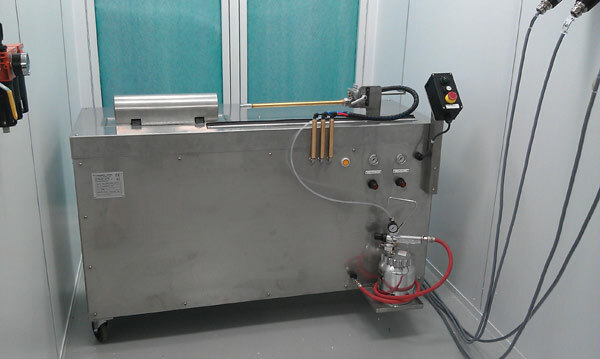 The Single Spindle Machine is a semi automatic paint spraying machine that is designed to coat cylindrical type components, e.g. 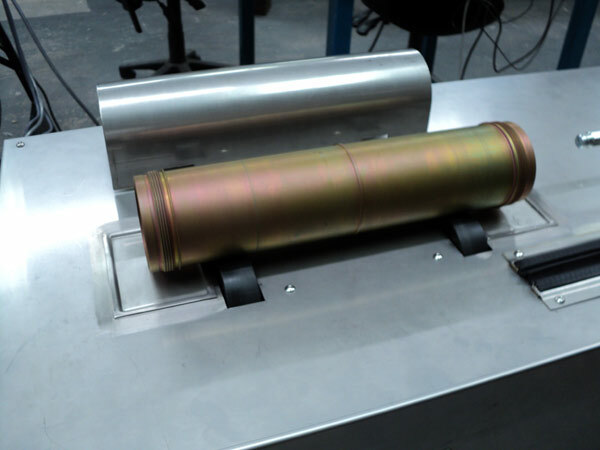 brake discs, brake drums, bottles, gas cylinders, etc. 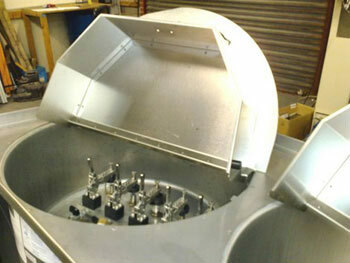 Components are mounted on interchangeable spindle jigs which are designed to suit the product to be coated. 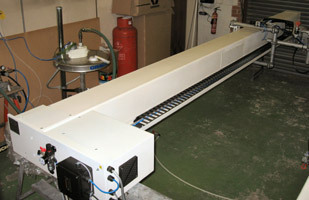 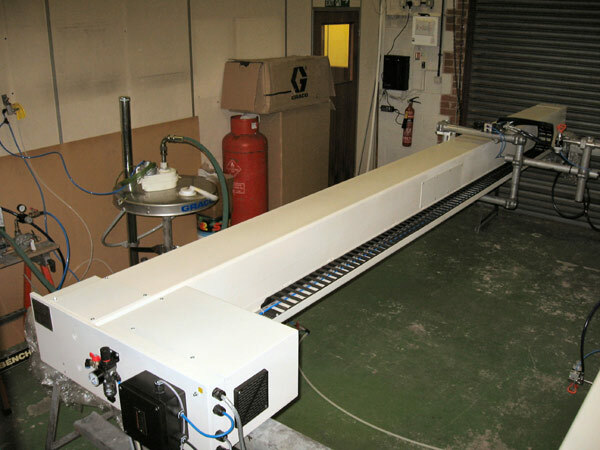 The machine shown features four automatic spray guns mounted on adjustable brackets with independent atomising and fan air control. 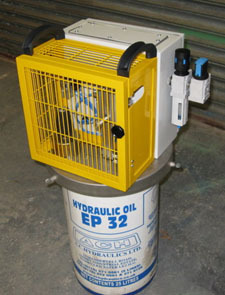 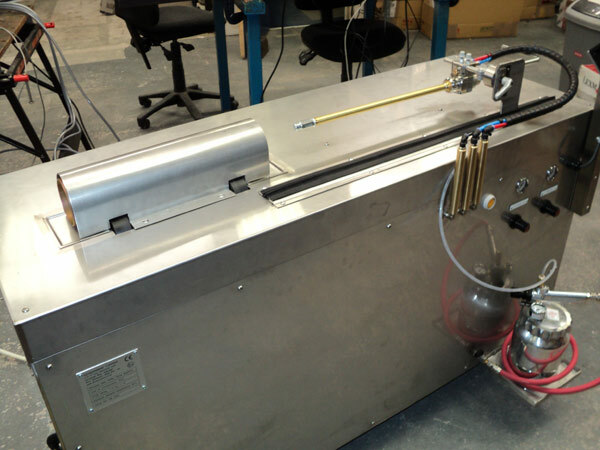 The machine is designed for use in ATEX zone 1 areas and is mounted on castor wheels enabling it to be moved out of a spray booth when it is required for other work. 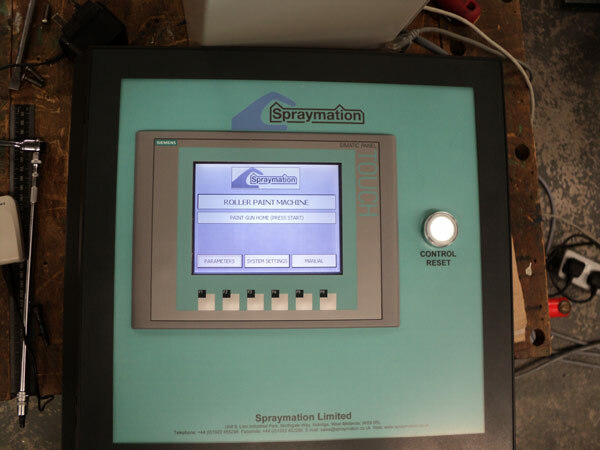 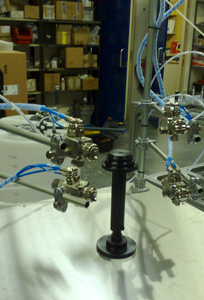 The spray sequence is PLC controlled and is easily programmed via a HMI screen. 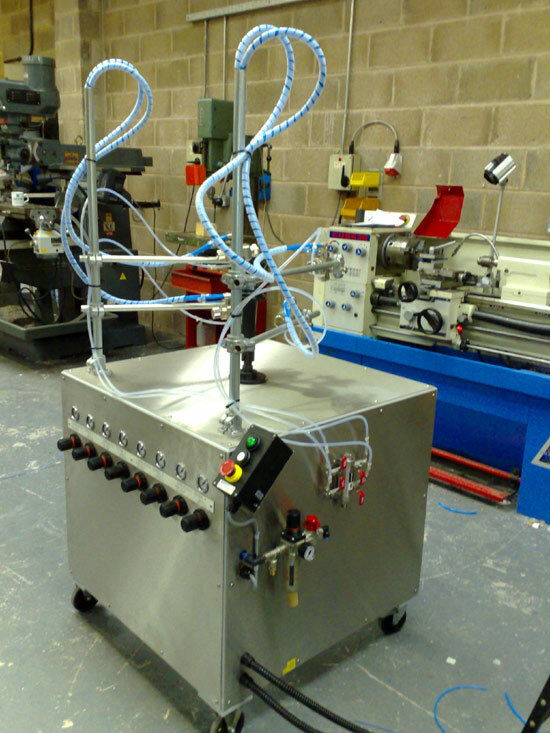 Many job programs can be setup and recalled to suit different component types. 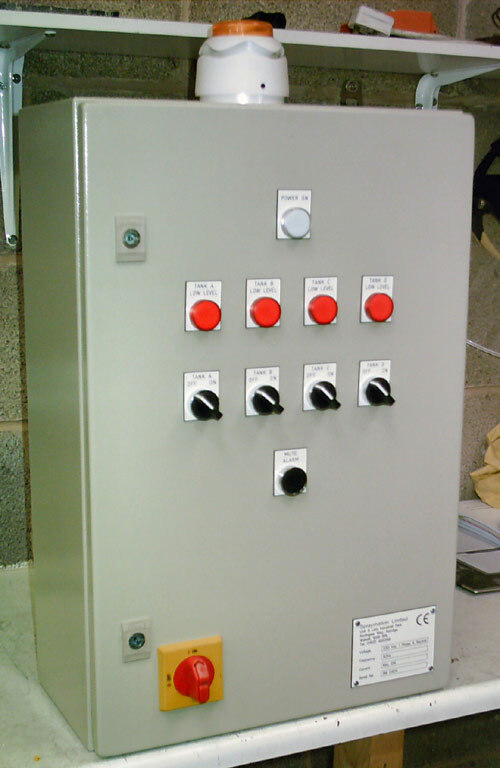 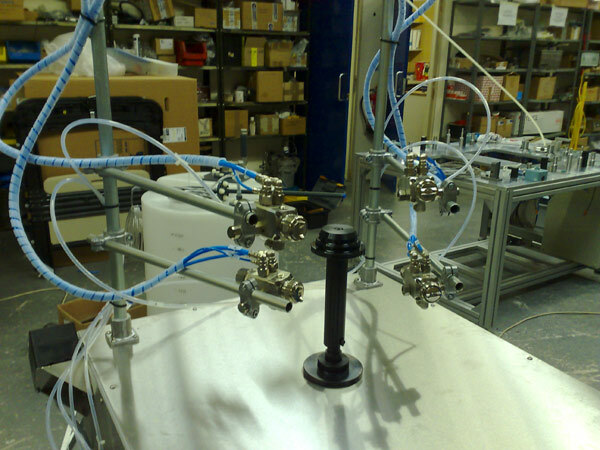 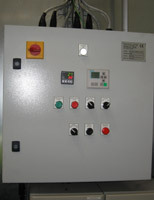 The control panel is mounted in a safe non-hazardous area and is connected to the spray machine via pluggable cables. 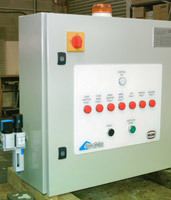 The Spraymation Paint Tank Level Platforms have been designed to provide both basic level information and alarms for various type of paint tank, and also for incorporation into automated paint systems. 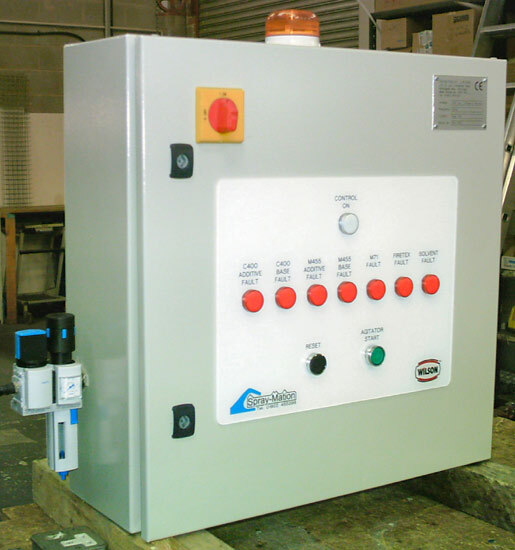 The Paint Tank Level Platforms are non material contact and so alleviate the problems associated with internal tank level monitoring devices. 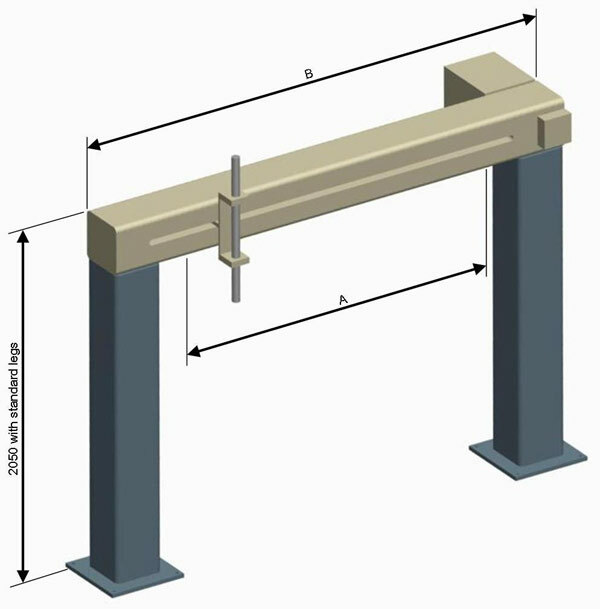 The platform features a robust load cell housed between lower and upper fabricated frames with a flat or skirted stainless steel cover. 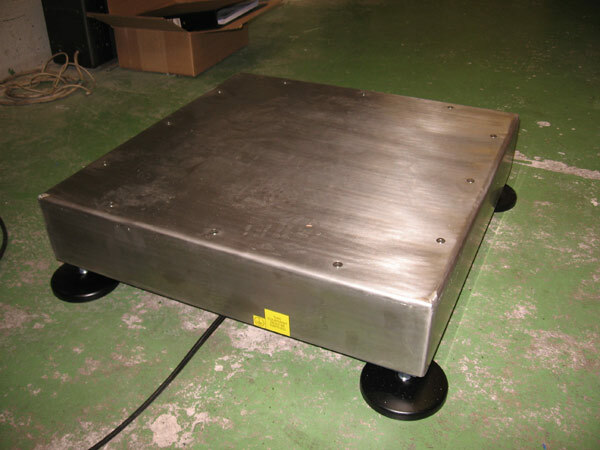 Four adjustable feet are provided to level the platform, which can be floor standing or recessed into the floor for easier tank handling. 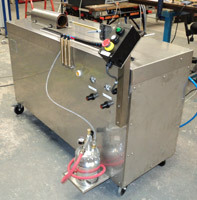 This machine was supplied to a well known Swedish car manufacturers paint plant maintenance department. The customer had experienced problems with his rotary atomiser bell cups becoming blocked with paint residue that was not removable with normal online cleaning solvents. 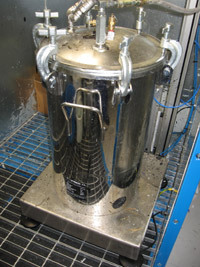 This machine was adapted from a standard gun flush unit which was significantly modified to incorporate a bell cup flushing fixture and automatic flushing sequence. 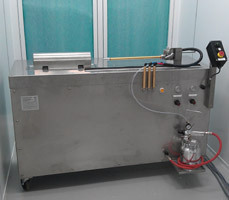 The flushing sequence comprised circulating a strong cleaning solvent/paint stripper for a programmable time and then flushing through with the normal cleaning solvent. 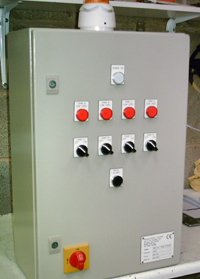 Control is fully pneumatic and incorporates a waste solvent tank level platform to warn when it required emptying. 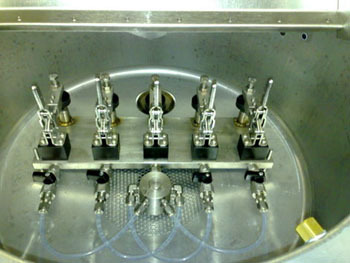 A separate manual solvent wash sink was also incorporated. 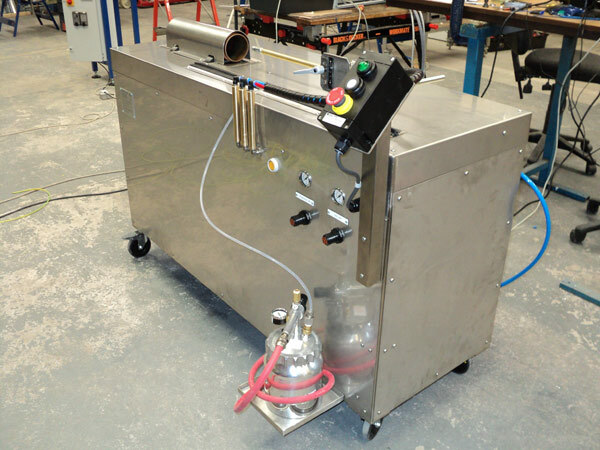 Besides building control panels and systems for our own spraying equipment and machines, we also manufacture for many finishing industry equipment and plant suppliers and also directly for the end user. Whether it ‘s a simple control panel for a spray booth, a manual colour change PLC control, an upgrade to an existing plant control or a fully automated computerised plant control; we use our expertise to provide the right solution for your budget. 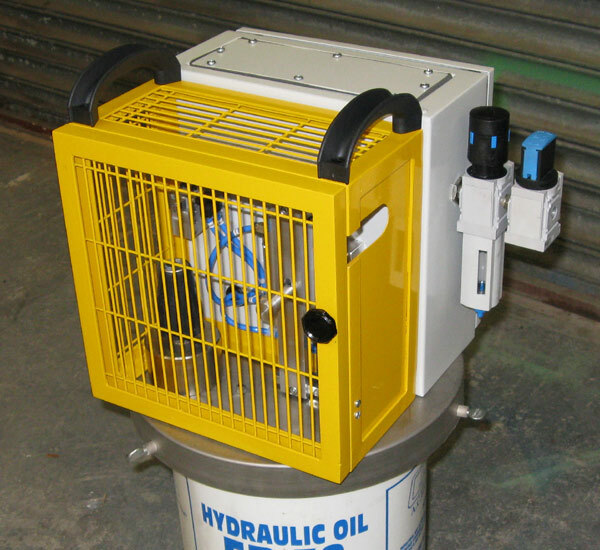 The airless gun flush unit was developed at the request of a client that experienced a safety incident when an operator attempted to flush out a high pressure airless spray gun and pump whist doing another task. 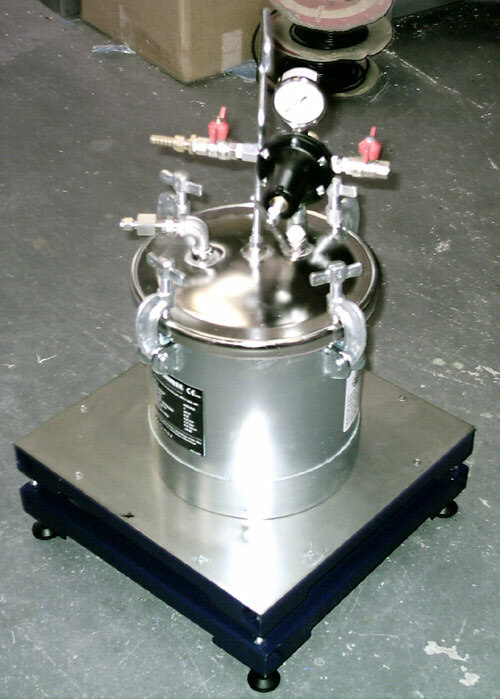 The gun flush unit is designed to house and operate the spray gun and pump in a safe manner. 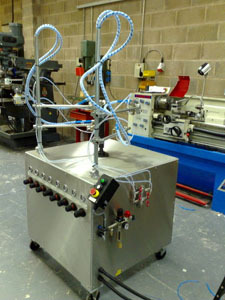 The gun flush unit is fully pneumatically controlled and features gun presence and door closed safety interlocks an adjustable cycle timer (20 to 300 seconds) gun trigger actuator and a separate valve and regulator arrangement to automatically drop the pump operating pressure to a safer lower pressure. 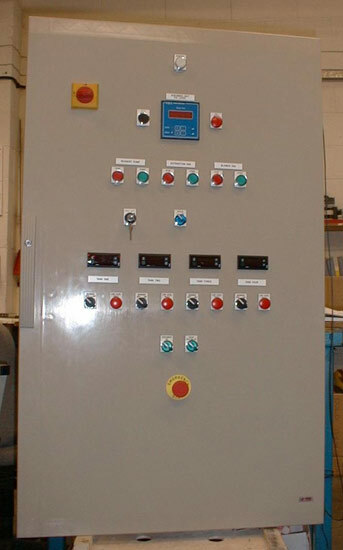 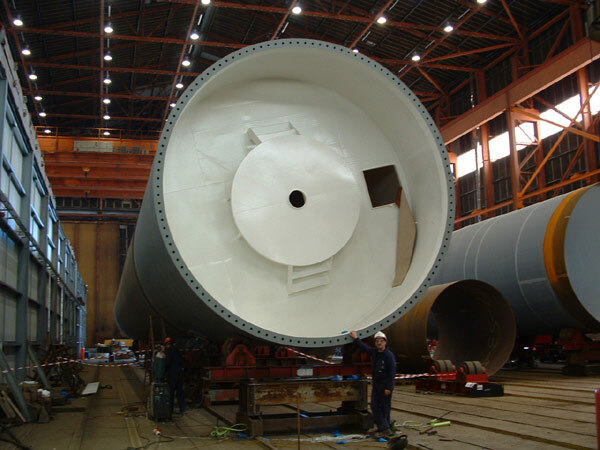 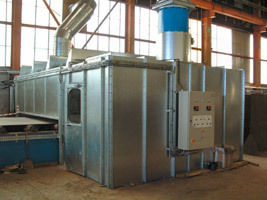 This plant was installed at a company that manufactured renewable energy generation equipment. 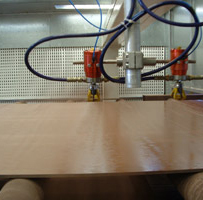 The plant was designed to coat both the upper and lower surfaces of steel plate up to 3.0 metre wide. The steel plate was carried on an existing roller conveyor at a speed of 1.0 metres per minute. 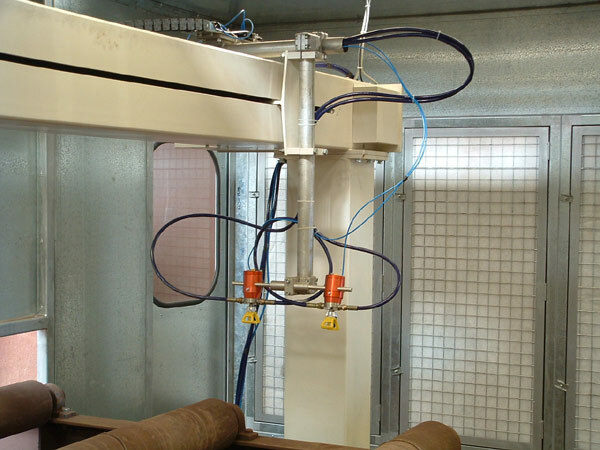 The plant consisted of two 4.0 metre stroke electronically controlled horizontal reciprocating machines; one positioned above the conveyor to spray the upper surface and the second positioned below the conveyor to spray the lower surface. 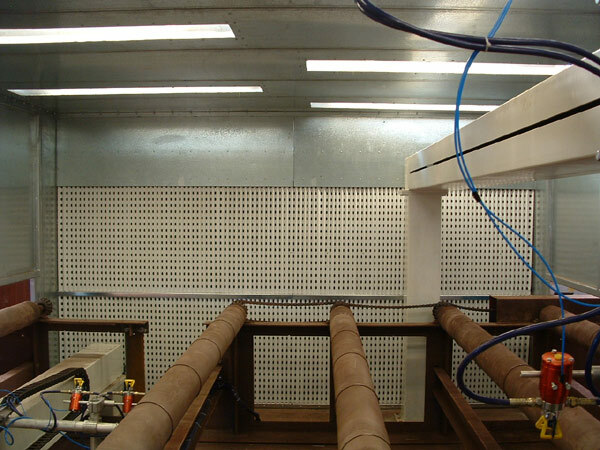 Both reciprocators are housed in a fully enclosed dry filter spray booth which is interlocked to prevent the reciprocators running if personnel are present. 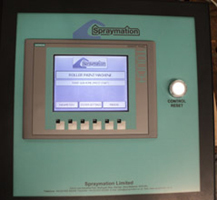 The control system features programmable reciprocator stroking parameters (speed, stroke length, position and spray gun triggers) and a nospray/ no-component detection system to minimise paint wastage. 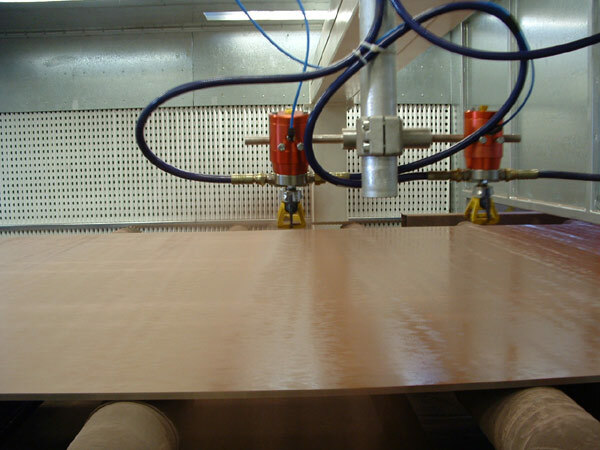 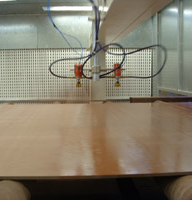 The roller coating machine was designed to automatically apply a precision coating to the interior surface of aerospace components. 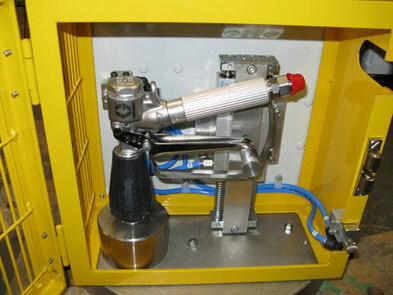 The roller coating machine features variable speed component mounting/rotation rollers and a variable speed and stroke spray gun axis. 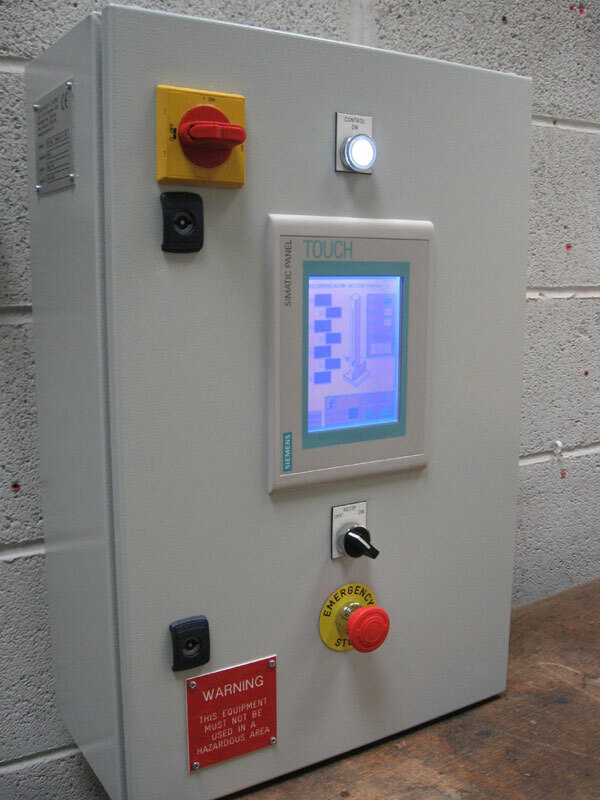 Control is provided by a plc with touch screen HMI panel enabling all variable parameters to be easily setup and altered. 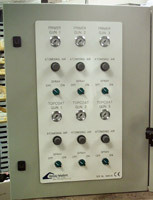 enabling it to be used for manual applications. 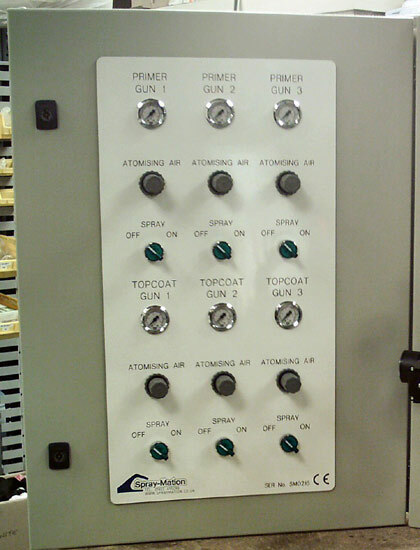 Connection of the machine is made to the control system located in the safe area is via ATEX plugs and sockets on the spray booth wall.